I pass this one on my way to work every day. 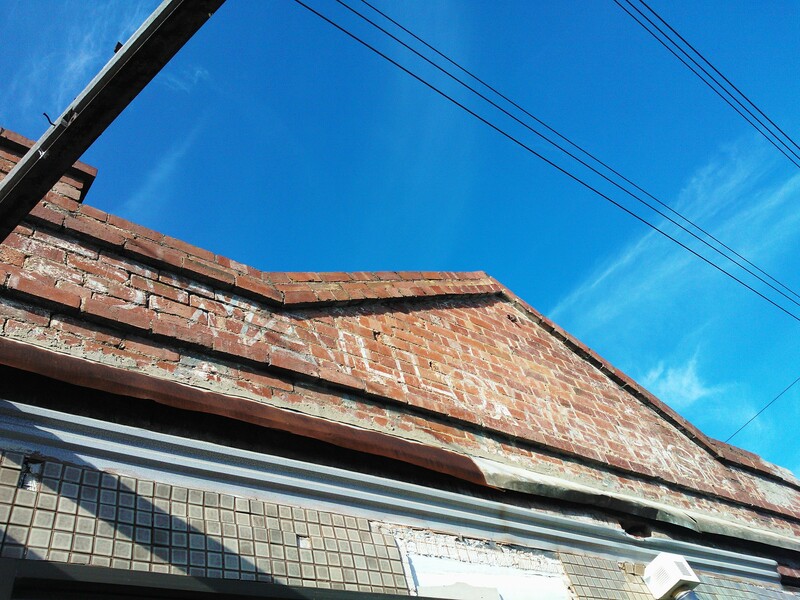 I love that it’s so bold, (in a faded kind of way,) just on the plain brickwork. Tasty. 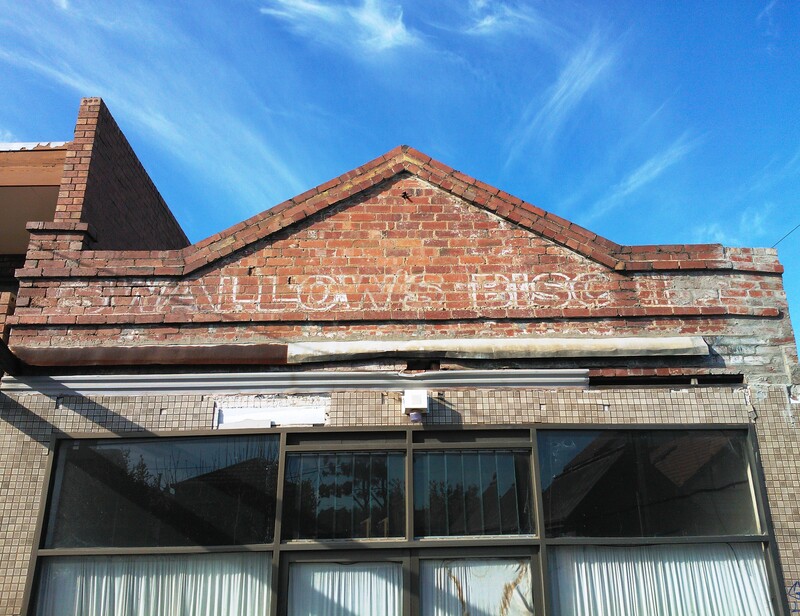 According to legend, (read: the internet,) Swallow’s Biscuits was founded by Thomas Swallow in 1854 after his failed attempt at selling Colt pistols up in the Ballarat goldfields. Upon returning to Melbourne, he set up his biscuit making factory down at Liardets Beach, later known as Sandridge and now know as Port Melbourne. Check out this clip from 1932 (there’s three clips total), filmed in the Swallow & Ariell factory. View for the the quality and service; Stay for super-smooth narration. Here’s an ad I found from The Argus, 1943. Swallow’s was well know for it’s patriotic fund-raising campaigns. Now, there’s a couple of kids who look like they’ve had their meat biscuits! During the years 1949-1963, many of Australia’s major biscuit companies came together. 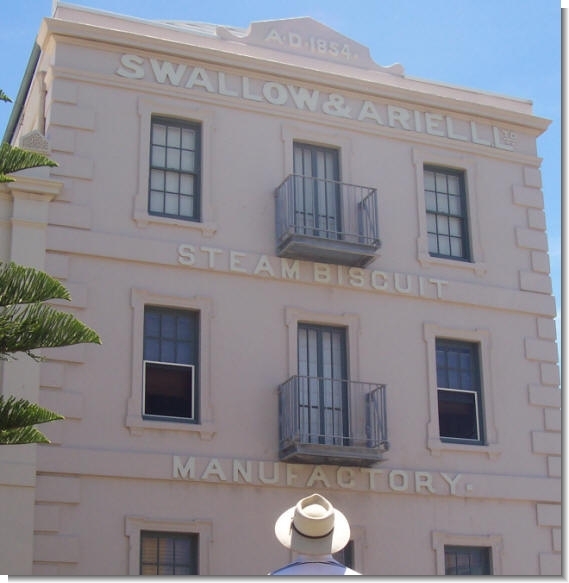 Swallow and Ariell was the last to join in 1965 when the Australian Biscuit Company bought out 95% of its capital. This group has operated under the name Arnott’s Limited ever since. SO THERE YOU GO! Tags: Swallows Biscuits. Bookmark the permalink. My Grandfather, Mr. Gordon Burns Peddie was Factory Manager @ Swallow & Areill – he loved his job and made dozens of biscuit designs (unfortunately many of them were unpatented by him) as a sudden heart attack @ 42 years old rendered Gordon unable to work again. Gordon had studied at RMIT, returning to studies aged 19, where he graduated in the Science of Home Economics and Biscuit Design. Gordon worked at Swallow’s from age 22 until 42. He was sent to the U.K, Europe and the United States where he studied biscuit manufacturing, oven designs in many countries.